When we heard that Bing Live was going to be coming to the Royal Concert Hall in Nottingham I knew I wanted to take the girls for a holiday treat. They are both huge fans of Bing Bunny and his friends. They really enjoy their real life adventures so I knew they would love going to see the show. I didn’t tell my little Bingsters they were going to see Bing Live until we were heading for the show. As soon as they found out they were going to the theatre they started bouncing off the walls with excitement. Seeing as we were going to see the show at 4pm, I thought it best not to tell them until they were actually at the theatre and I think this was a wise move. It could have been a very long day otherwise. Bing is such a lovely show for preschool and early years children because it explores real world issues young kids think about everyday whether it’s around friendships, sharing or going to the toilet. We really enjoyed how Bing Live bought this concept to the theatre, by exploring the world of being on stage as a child might see it. Bing and Sula talked about being in the spotlight, dressing up and singing and dancing to tell a story. The girls really enjoyed exploring what theatre was in a way they could relate to. Bing Live was packed with audience participation too, which really helped to keep Indie and Brook interested in the show. At one point Bing, Flop and Sula turned the whole theatre into a jungle and all the little Bingsters became tall trees blowing in the breeze and roaring lions. It was lovely how the characters from Bing all made an appearance throughout the show. 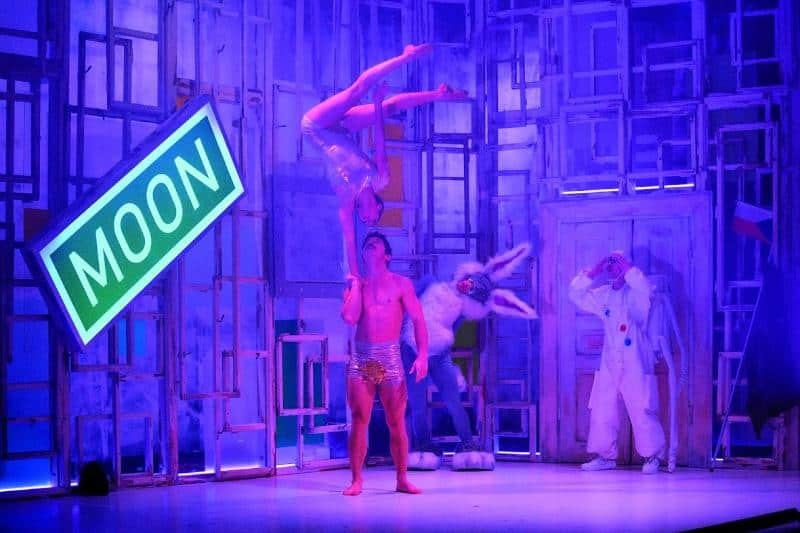 Coco, Pando and Hoppity Voosh all played their parts exceptionally well to a very enthusiastic Bing Bunny crowd. The girls favourite part was when the story took Bing and his friends under the sea and Sula was dressed up as a mermaid. Ever since going to see Bing Live they have come up with some very creative ways of dressing up as mermaids which seem to involve my slippers and a lot of blankets! It’s lovely to see how their favourite show has sparked their little imaginations. We had a lovely afternoon at Bing Live at the Royal Concert Hall in Nottingham. 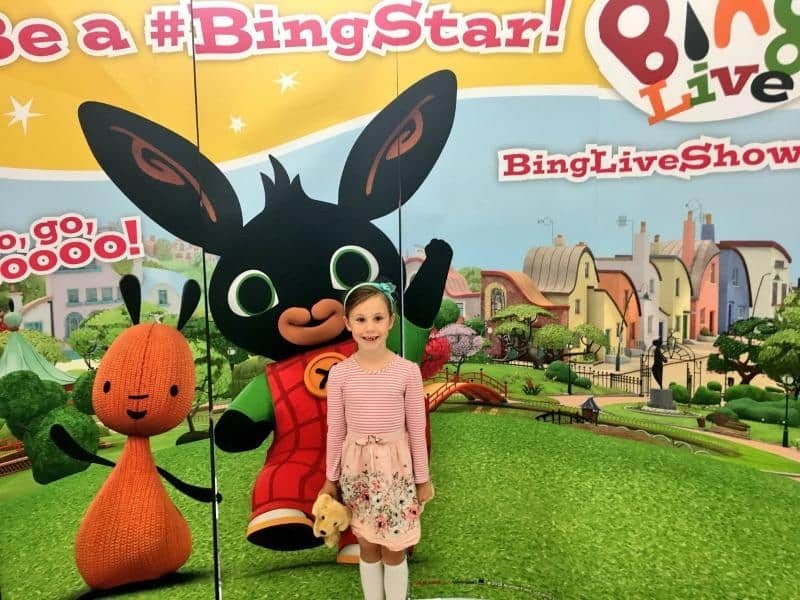 I would recommend to any parent who has little Bingsters to have a look on the official Bing Live website and see if the show is coming to their local theatre. 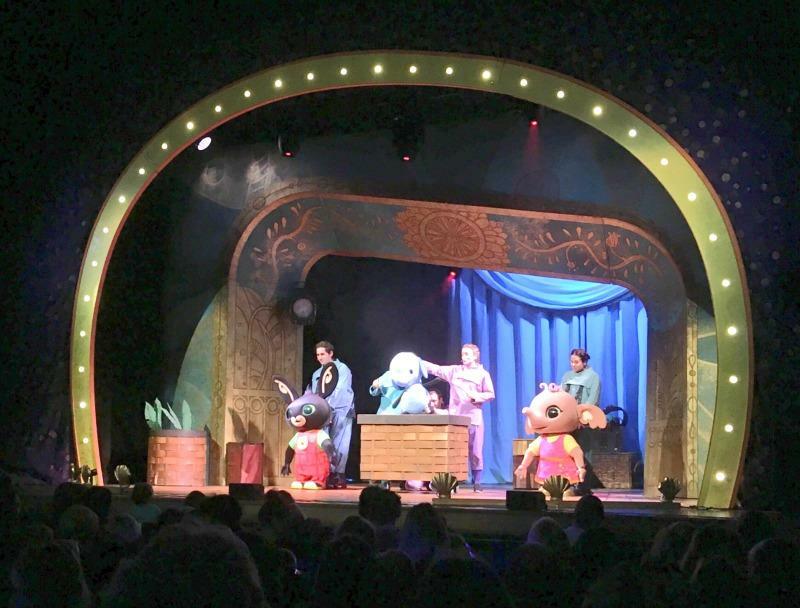 It’s a great introduction to live theatre and Bing Live has some wonderful magical moments to help capture young children’s imagination. We were provided with complimentary tickets to see Bing Live at the Royal Concert Hall in Nottingham in exchange for this review but all thoughts and opinions are our own. Test Driving the New Ford Focus - A Good Family Car?